Screen Australia and training/mentor company StoryLabs have joined together to support the development of eight new screen multiplatform strategies. The projects encompass two feature films, one TV drama series, two interactive documentaries and three games. The support, in the form of a week-long workshop, will be held next month to outline the projects’ story worlds, business potential, audience and community focus, interactive functionality and technology. Feature film projects selected for the inaugural Digital Ignition Multi-platform Clinic, held in NSW, include apocalyptic thriller These Final Hours, by WA writer/director Zak Hilditch, producer Liz Kearney, and executive producer Robert Connolly; and psychological horror flick The Babadook, from writer/director Jennifer Kent and producer Kristina Ceyton. The Lost Boys, a new TV drama series from Matchbox Pictures (The Slap), will also be represented at the clinic. The youth-oriented show is created by Tony Ayres and executive produced by Helen Panckhurst. Producers on the project – lead by multiplatform producer Julie Eckersley – are Michael McMahon and Ayres. The two interactive documentary projects selected include The Hive – a transmedia project comprising a serious game and documentary about the hidden codes of human cooperation – and Cave – a story of science and discovery in the country’s most remote caves. Double Happy Versus The Infinite Sadness, from Adelaide-based digital agency Moneystack, Byrax, from Queensland animators Studio Joho, and The Eventide, from senior staff at digital agency Loud & Clear, round off the game projects selected. 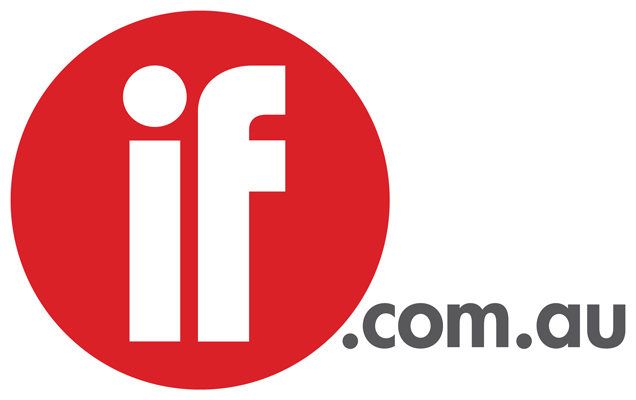 “The Digital Ignition Multi-platform Clinic falls within the suite of support offered through our All Media Program, which seeks to ignite and strengthen digital understanding, expertise and activity within the Australian screen content sector,” Screen Australia's investment manager, Mike Cowap, said in a statement. Hayes, StoryLabs' co-founder and clinic director, added: “It’s a great opportunity for the participants to get deep consultation from this mentor team, and StoryLabs looks forward to helping move them and Australian multiplatform production to the next level during the event". The clinic will be held in New South Wales' Southern Highlands between November 21 and 25. Synopsis A single mother plagued by the violent death of her husband battles with her son’s fear of a monster lurking in the house, but soon discovers a sinister presence all around her. Synopsis A young man makes his way to the party to end all parties on the last day on Earth but ends up saving the life of a little girl searching for her father, who ultimately leads him on the path to redemption. Synopsis After getting lost on a school camping trip, four teenage boys return home to find something strange has happened – they have come back to a world where they no longer exist. Synopsis An original, irreverent, comedic game and animated web series where the non-playable characters take on a life of their own, set in the style of Age of Empire and Civilization. Synopsis Double Happy follows the adventures of two disturbingly cheerful rabbits as they set forth in a quest to save their world from the clutches of an all-consuming sadness. Synopsis The Hive seeks to explore and test the hidden codes of cooperation: whether the collective ‘hive mind’ of humanity can collaborate for the greater good, or whether we will be doomed by self-interest. Synopsis Five children work with a mysterious species called the Eventide to prevent civil war and protect the human race. Synopsis Combining transmedia storytelling principles with scientific research and discovery, Cave: Searching for Australia's Forgotten Beasts will offer audiences unprecedented access to remote desert caves housing fossil finds that excited the world scientific community enabling users to participate in a Palaeontology excavation and scientific research process that they would otherwise not have access to.